Virtual reality (VR) and augmented reality (AR) sound like great novelties on the surface, but what can these technologies do to help your brand? The answer might surprise you. According to this infographic, these experiences can do quite a lot to boost your brand, especially if you are in the business of selling products or experiences. Product manufacturers and venues are already taking advantage of VR and AR technologies as part of their marketing strategy, and even retail stores are using AR to help customers find what they’re looking for. This infographic, created by MDG Advertising, outlines some of the reasons brands should start paying attention to this emerging trend. 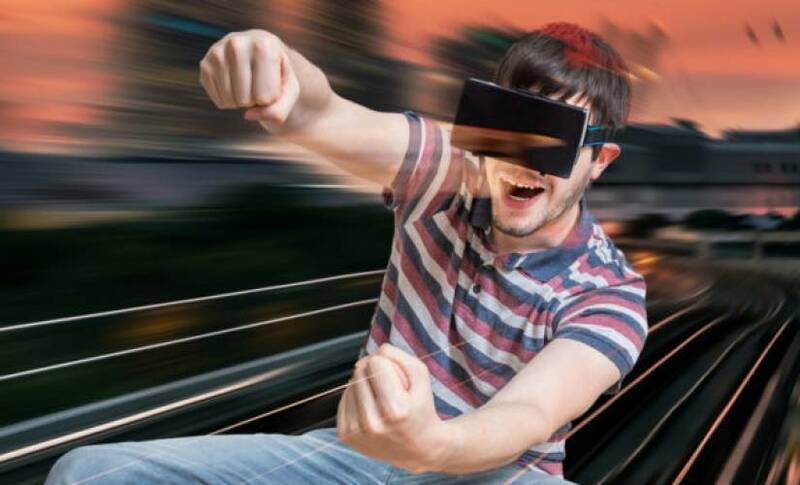 After years of wait-and-see with VR and AR, tech companies are finally starting to make headway into creating experiences that consumers are responding to. Products like Google’s Daydream and Samsung’s Gear VR have opened the door to enable virtually anyone with a smartphone the chance to experience virtual reality from their smartphones. Gaming consoles like Sony’s PlayStation even has a VR experience through Sony’s PlayStation VR. Oculus, which is now part of the Facebook family, is driving Facebook’s new Spaces experience where people can meet in a virtual environment. Linden Lab, the creators of the still-popular virtual world Second Life are hard at work creating a whole new virtual world experience with VR at the forefront. As for brands, hotels like Marriott are offering potential customers virtual tours of their hotels around the world, enabling them to preview their experience before booking their rooms. Even product-oriented brands like Coca-Cola are using VR to raise brand awareness through providing fun experiences. Just last year, Coca-Cola showed off packaging that converts into a cardboard VR headset for smartphones. Have you ever been lost looking for items in a retail store? We all have, but this is where augmented reality can change the game. Aisle411 is already being tested with retailers like Walgreens and Toys”R”Us. It creates an augmented reality of sorts that shoppers can use like GPS navigation to get them to the product they’re searching for. A tablet mounted to the shopping cart, or the shopper’s own smartphone, this augmented reality experience makes life easier for the shopper, and that is always best for business. In addition to announcing better support for Virtual Reality at WWDC this week, Apple unveiled a ARKit, a new development platform for creating augmented reality experiences in iOS. This is a big step as Apple has long been considered the tipping point for augmented reality to really take a leap forward. The success of Niantic’s Pokemon Go last year introduced a lot of new people to the concept of augmented reality. It remains a fun, and addicting game, but the implications of its success were that brands everywhere became aware that augmented reality is well within reach.